During this interactive program you will spend many up-close moments with our rescued elephants, gain in-depth knowledge about their sophisticated means of communication, and learn about their natural habitat and the important role they play as a keystone species in our ecosystem. The program includes joined roundtrip transfers as well as a light breakfast, vegetarian lunch & dinner buffets, and cold drinks and refreshments throughout the day. Your morning starts with light refreshments and a video presentation on the history and plight of Asian elephants. You will then have an opportunity to feed one of our rescued elephants for breakfast. 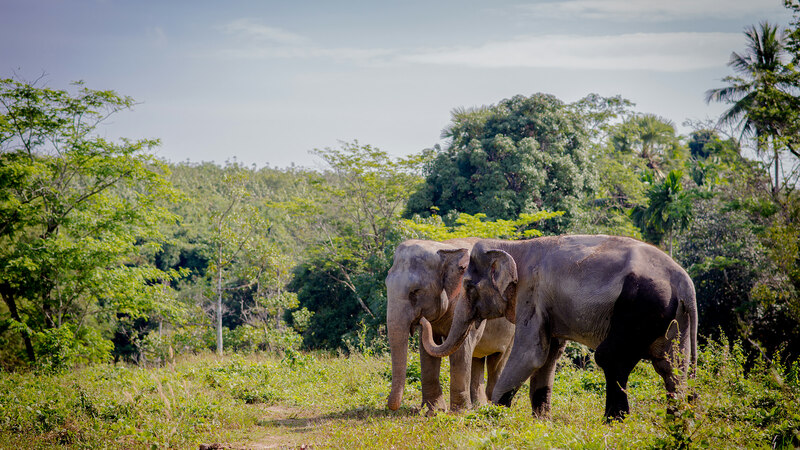 Next, our tour guide will teach you about the intricate behavioral and communication patterns of elephants before you explore our 30-acre sanctuary to observe our elephants roam, play and bathe freely. The morning ends with a delicious vegetarian Thai lunch. 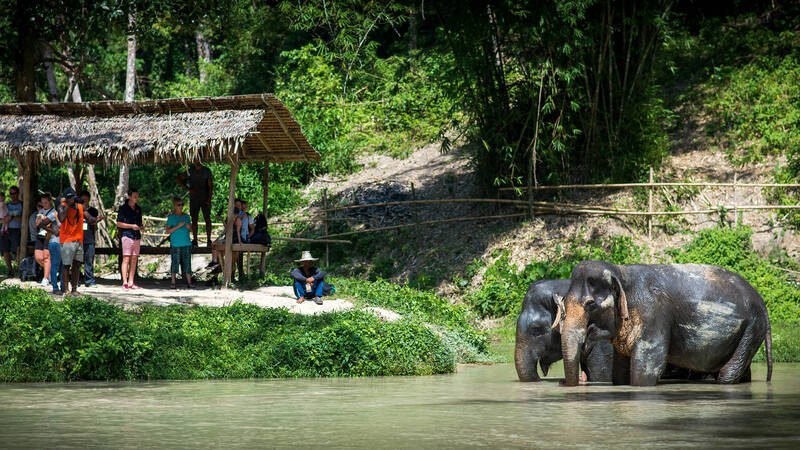 In the afternoon you will explore the natural habitat of Asian elephants and learn more about their important role as a keystone species in our ecosystem while observing the elephants roam through our jungle. You will then learn about the important role water plays in treating old and injured elephants as you meet some of the gentle giants at the new hydrotherapy pool and observe them enjoying their time in the water. Finally, you will help to prepare supplementary elephant food and feed the elephants for dinner before enjoying a vegetarian meal yourself to end the day. *Price includes joined round trip transportation to and from the Phuket Elephant Sanctuary, within the Phuket province only. Private transportation available upon request.